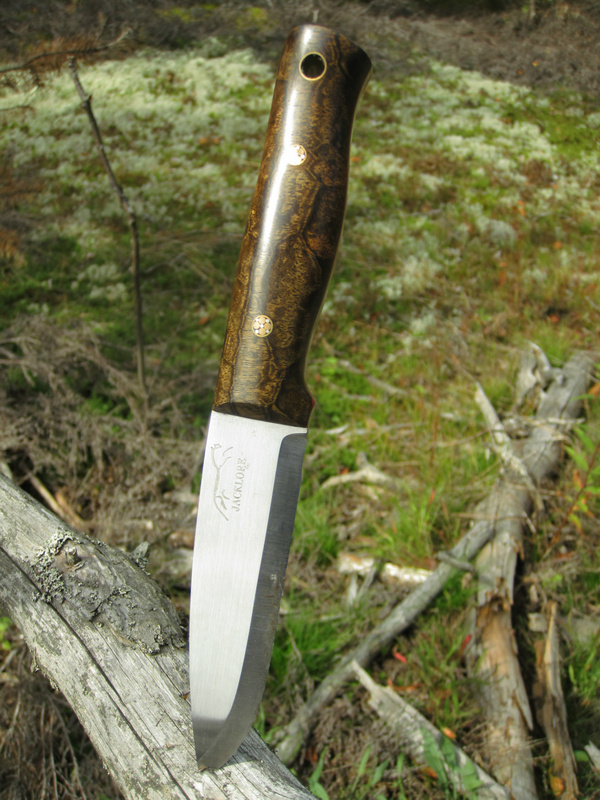 Desert Ironwood and Jacklore Classic tapered blade with mosaic pins. 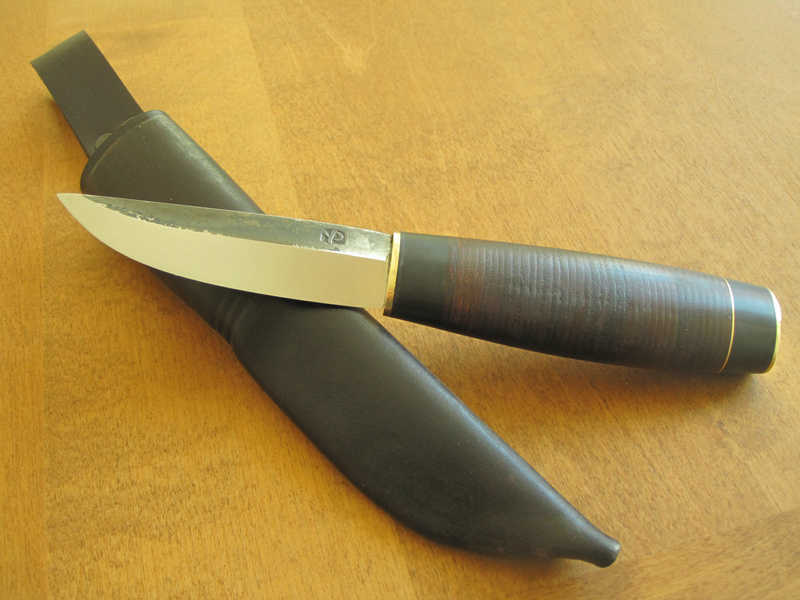 The blade is original Sandy's production. 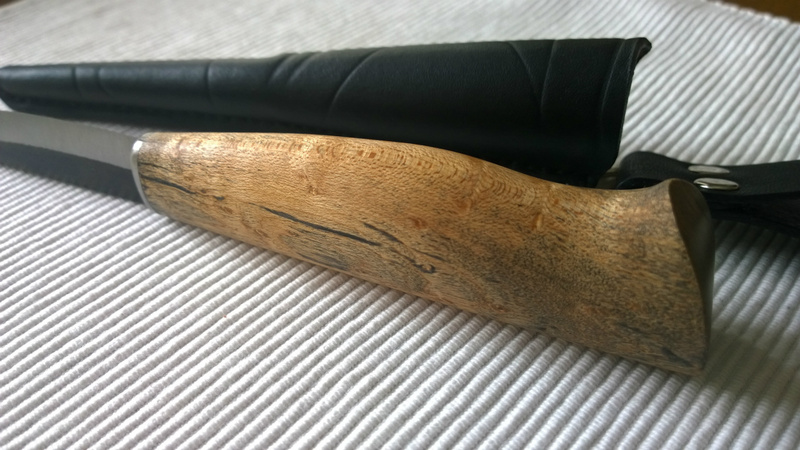 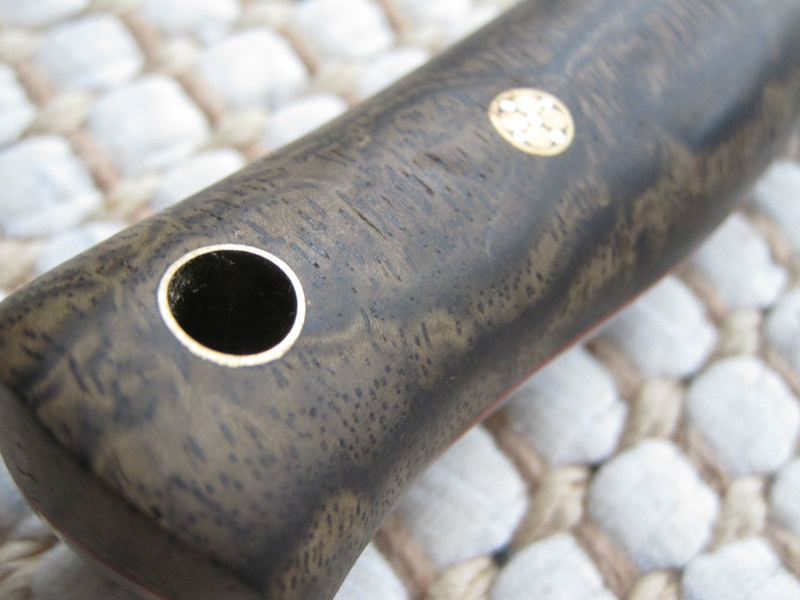 Stabilized black tinted mable handle. 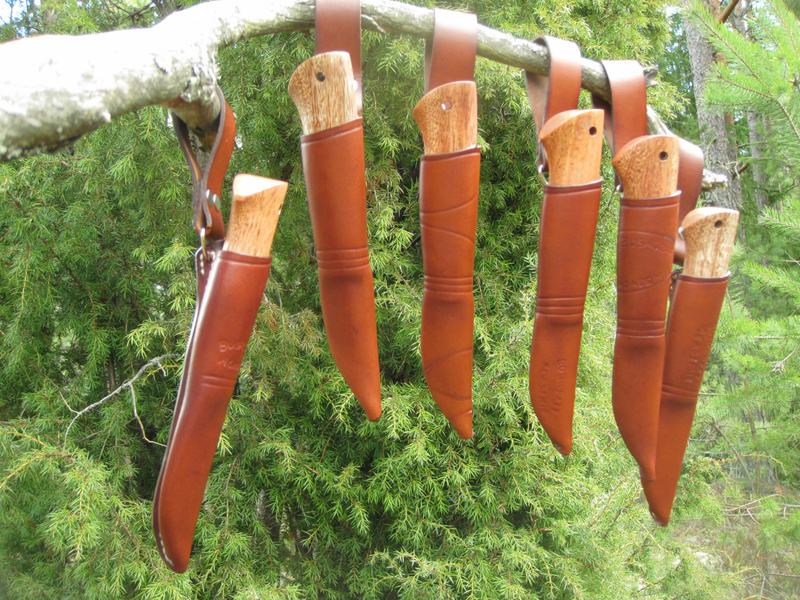 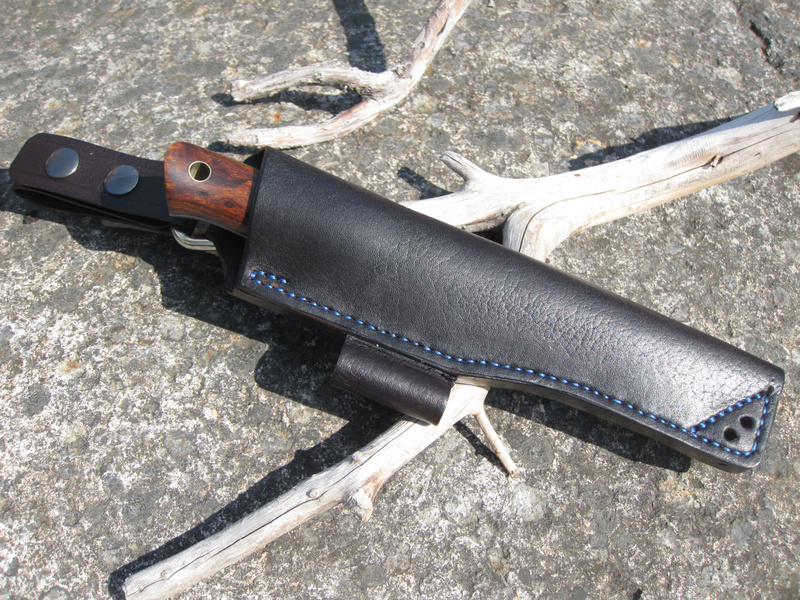 Scandi type knife sheaths with dangler belt loop. 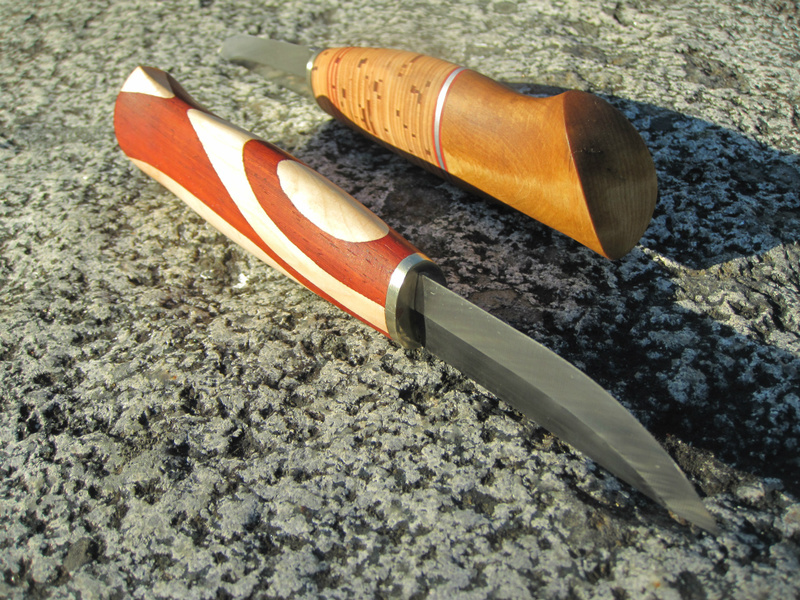 Some Lauri carbon steel blades attached to Mahogany wood. 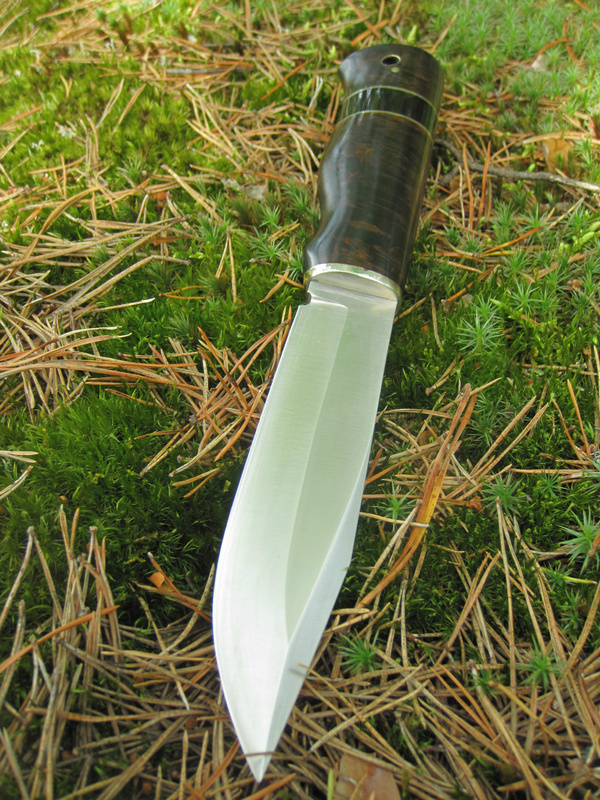 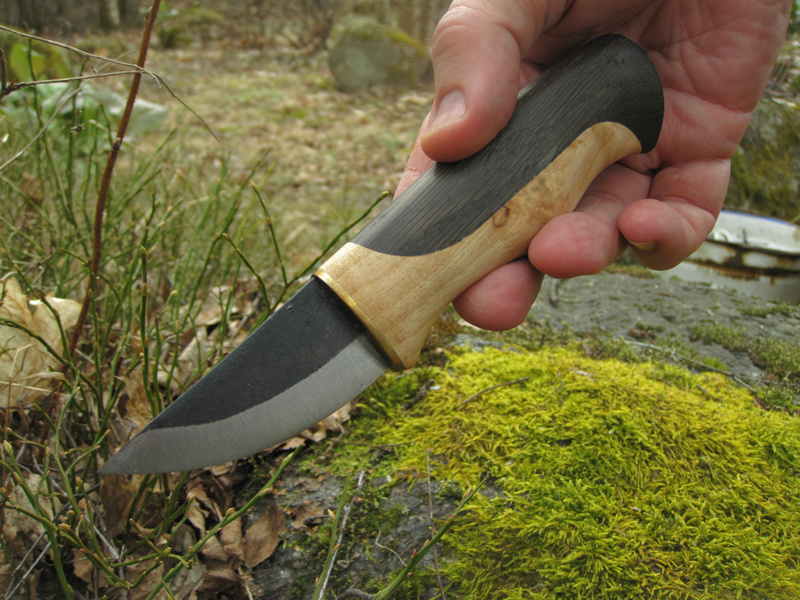 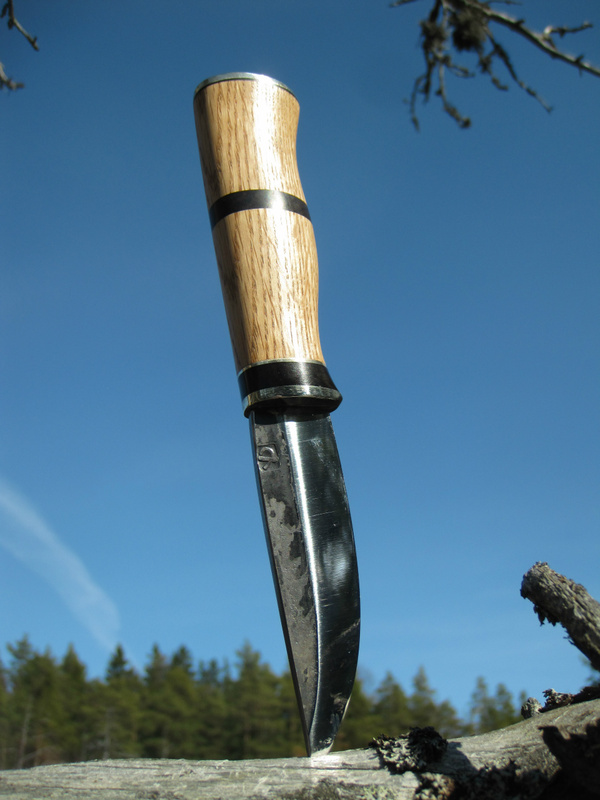 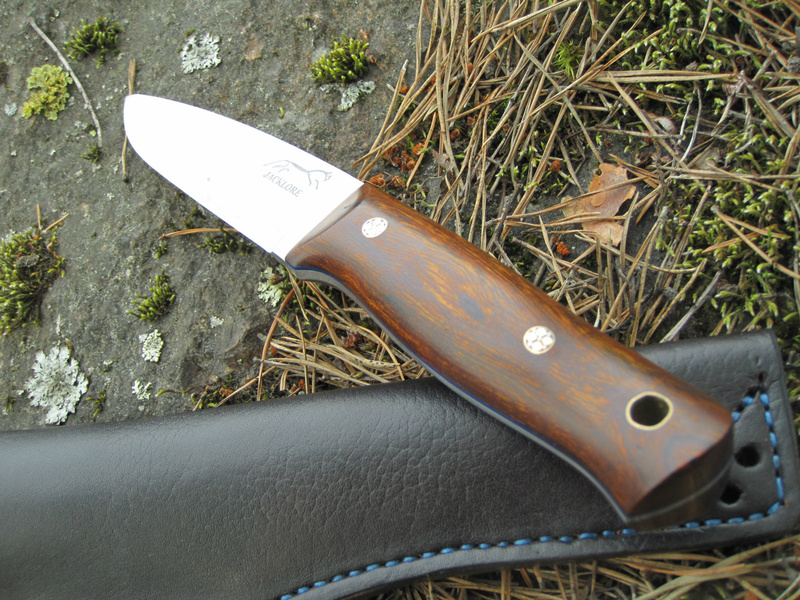 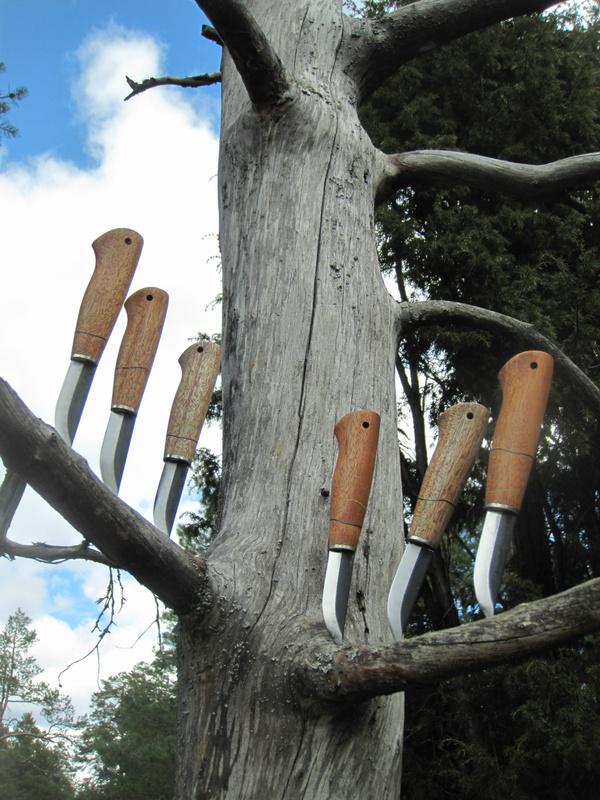 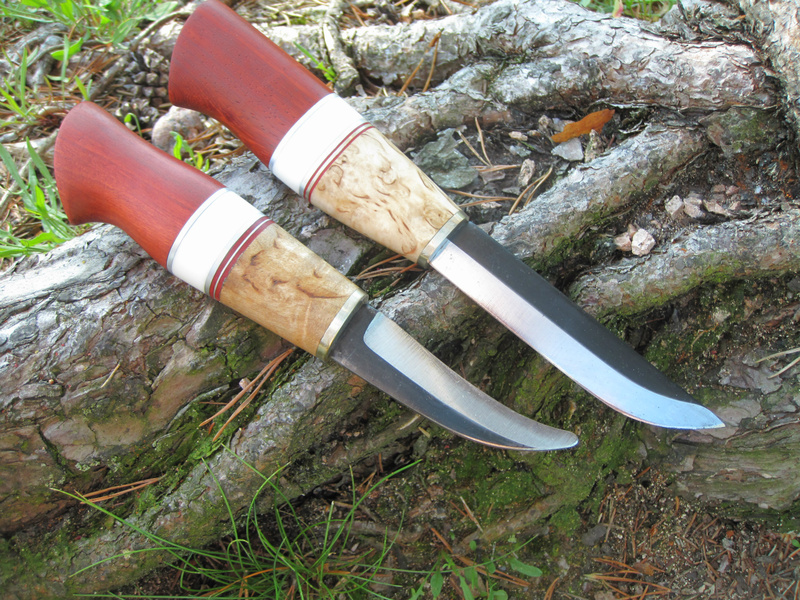 Knifes for Bushcraft Akademie. 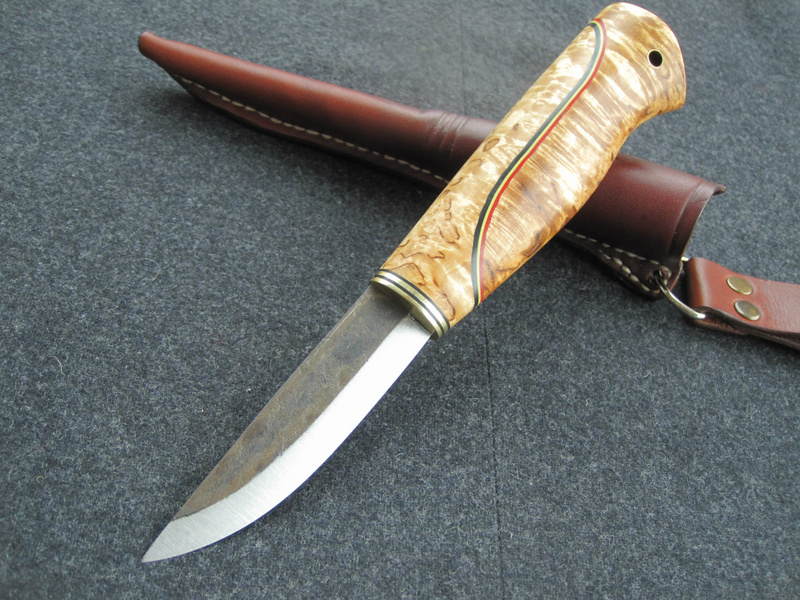 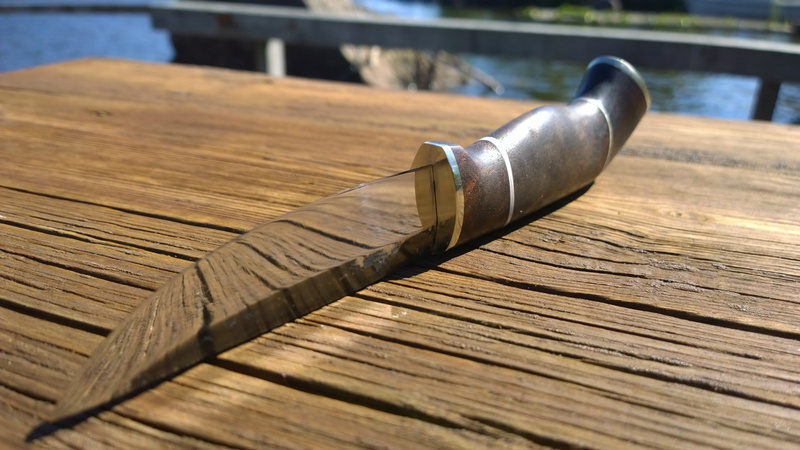 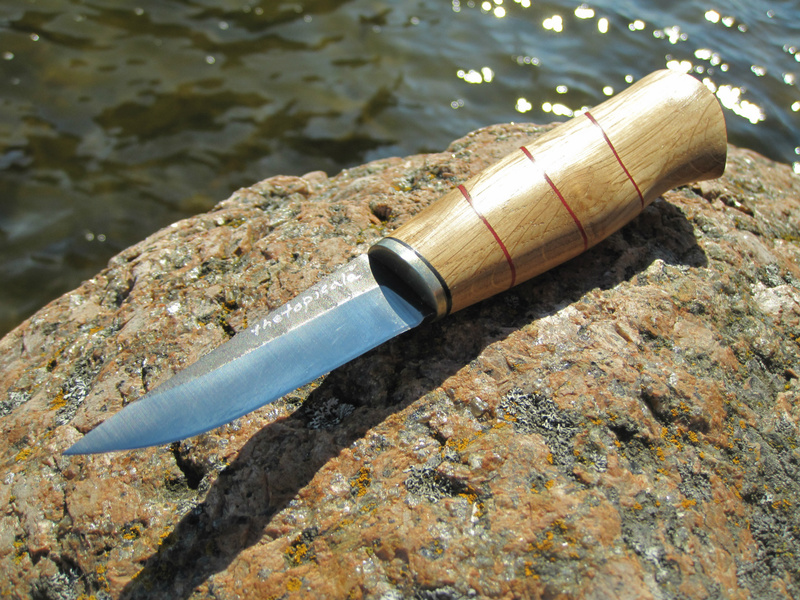 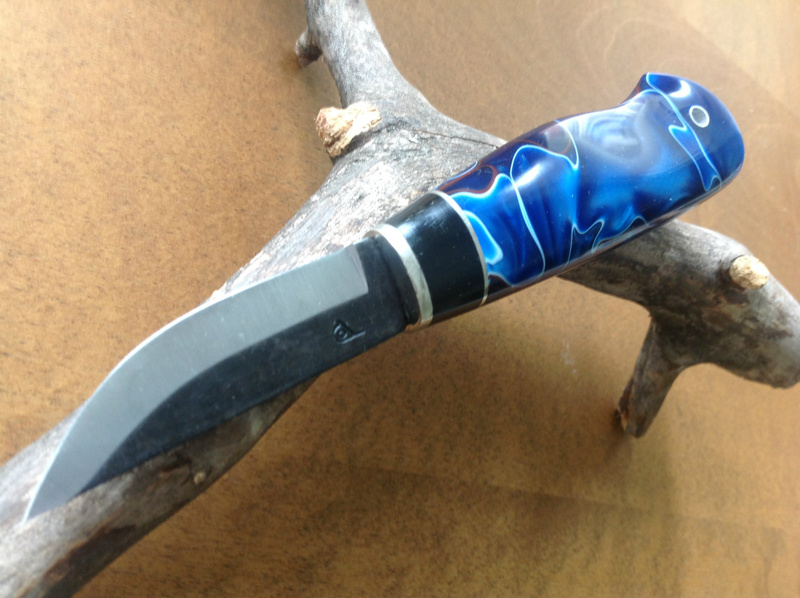 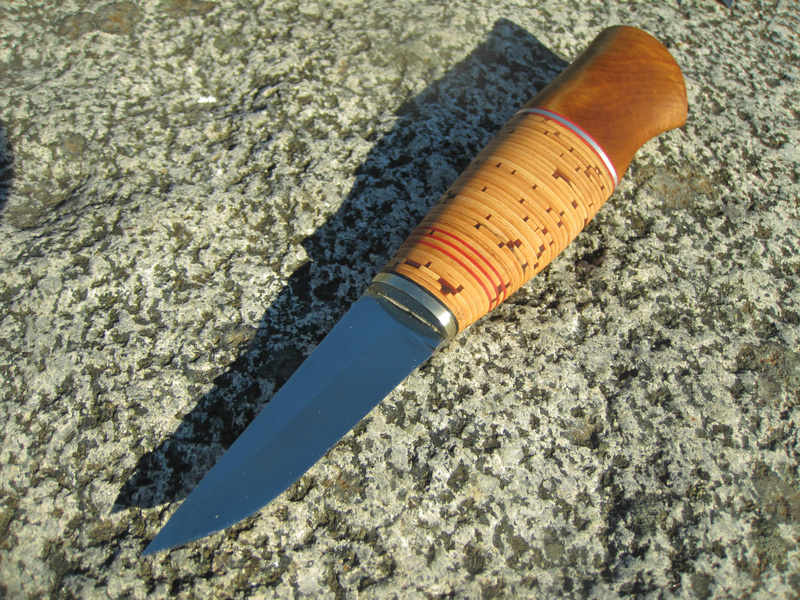 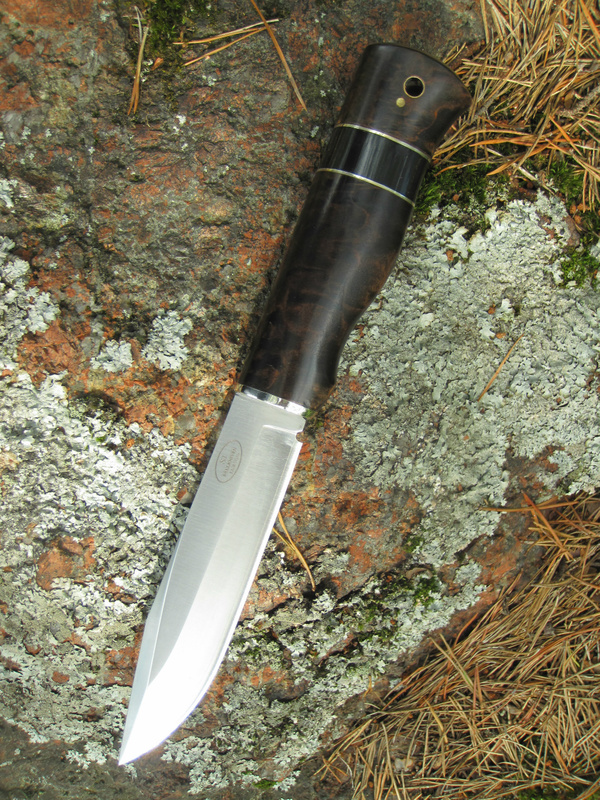 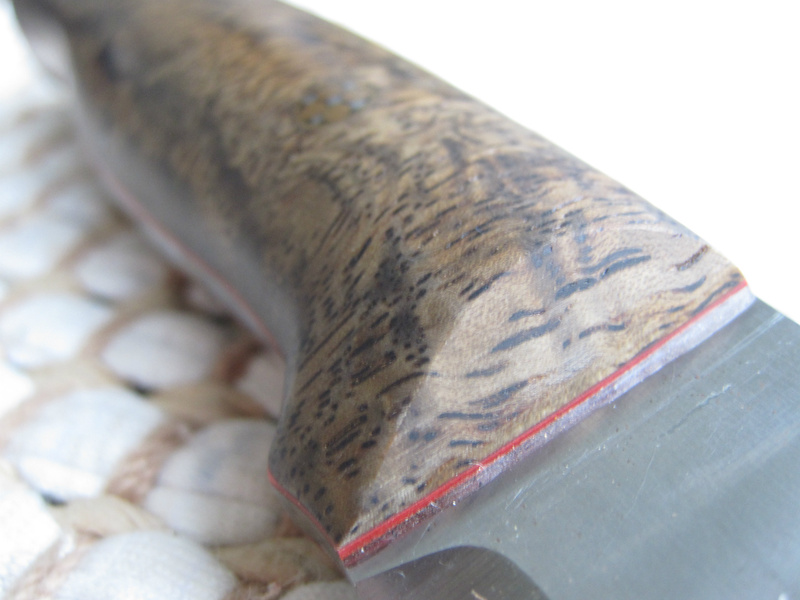 In this page I will show newest knifes creations.